​SoulCollage® is a powerful art process developed by Seena Frost. It lets us visit the terrain of the Soul through imagery and visual metaphor, often bypassing the rational mind. ​You’ll make 5 x 8” cards by collaging together images that appeal to you intuitively. The results may surprise and delight you. In this session, we will explore the metaphor of the journey and make cards depicting different aspects of the journey from your experience of the past year. How would you visually represent your journey? Were there themes? High points, low points, lessons learned, risks taken? Were you accompanied or alone? Your collaged “postcards,” like mementos of your inner travels, will offer wisdom and connection to your innate knowing as we explore their personal and trans-personal meaning. If you find that your intuition has a different direction to pursue other than the journey metaphor, that’s fine. SoulCollage® invites us to trust the process and the guidance of intuition. 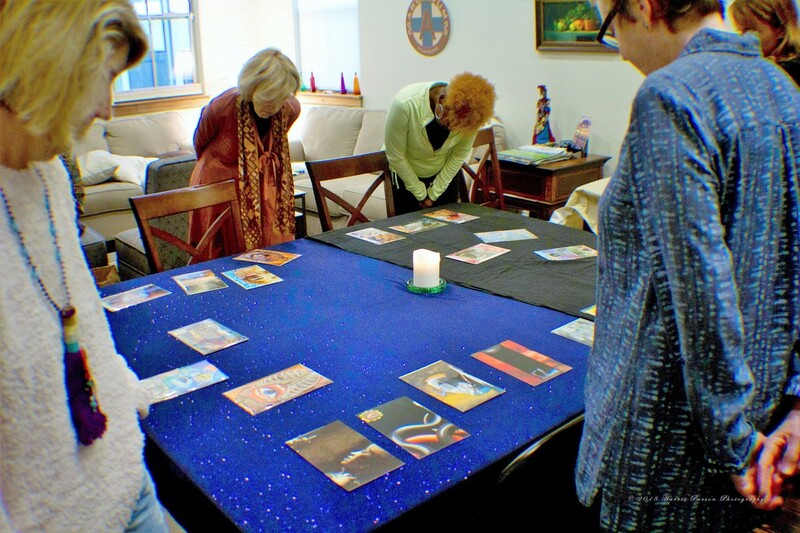 We’ll use various approaches to interacting with your cards, including “reading” them to learn what they have to communicate, journaling, story-telling, movement and enactment. You may participate to your comfort level, yet you are also encouraged to stretch your limits. There will be much friendly support by the group. Facilitated by Catherine Williams, MA: SoulCollage® Facilitator, Drama Therapist and Certified Teacher of the Enneagram of Personality. For over 30 years she has led workshops integrating the visual arts, movement and drama. Her love is to support creative self-expression and the revelation of one’s precious wholeness: the one and the many that we are. Please bring lunch or plan to eat at a restaurant nearby. There will be a lunch break of approximately one hour. Value: $45 - $55, sliding scale. All materials are provided, including over 1,000 images.